Margaritifera margaritifera is a critically endangered species in Europe. Among the causes explaining its decline, metal pollution had never been deeply studied. Thus, an ecotoxicological investigation was developed on this species which comes from the Dronne River (South-West of France). 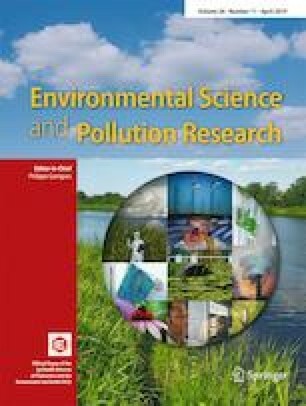 Cadmium (Cd) exposure of mussels at 2 and 5 μg/L for 7 days was conducted to test their vulnerability to this metal, and also the potential endocrine disruption power of Cd. Morphometric analyses, gonad histological observations, metal bioaccumulation, metallothionein (MTs) production, measures of malondialdehyde (MDA), and finally quantitative relative expression analysis of genes involved in various metabolic functions were performed. The main results showed Cd accumulation increasing in a dose-dependent manner, especially in the gills. The same trend was observed for gene expression relative to oxidative stress. Histological analysis of the gonads highlighted a predominance of hermaphrodite individuals, but after 7 days of exposure to Cd, the percentage of female was largely increased compared with controls, from 17 to 33%. These results demonstrate the endocrine disruption effect of Cd on freshwater pearl mussels. The pearl mussel Margaritifera margaritifera is sensitive to cadmium since the metallothioneins are poorly induced, gene expression reveals oxidative stress, and gonads tend to be feminized. We want to acknowledge the PNRPL (Parc Naturel Régional Périgord Limousin) for their cooperative assistance in the field and their interest in this study. We also thank Eric Goursolle, Julie Chevalier, Bénédicte Pécassou, and Romain Papin-Vincent for their participation in the realization of the different analyses.